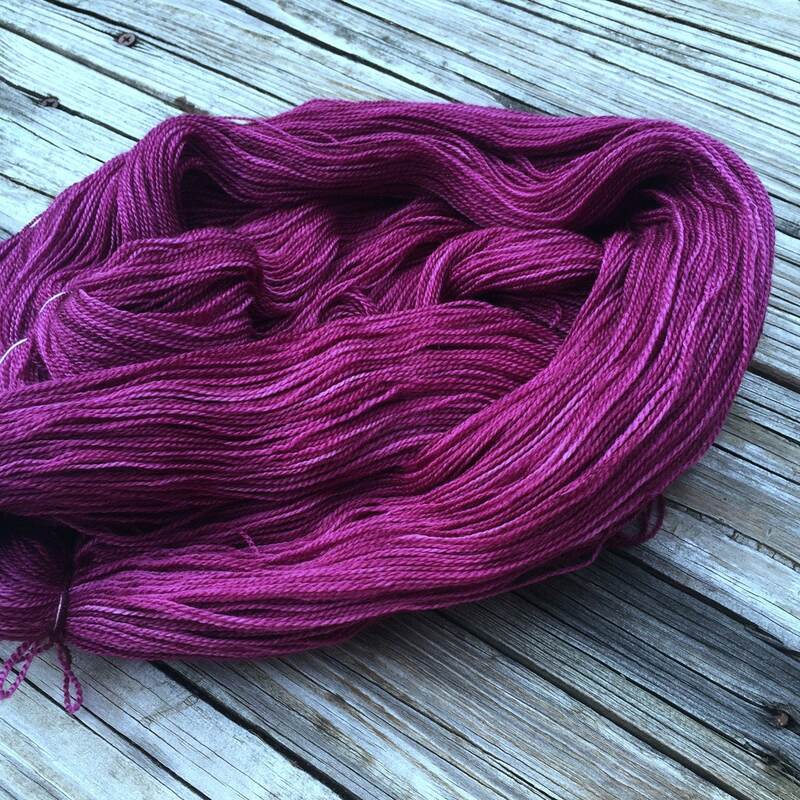 I dyed this yarn with professional dyes in shades of rich cranberries, magentas and mystery. It's so hard to resist the song of the sirens! 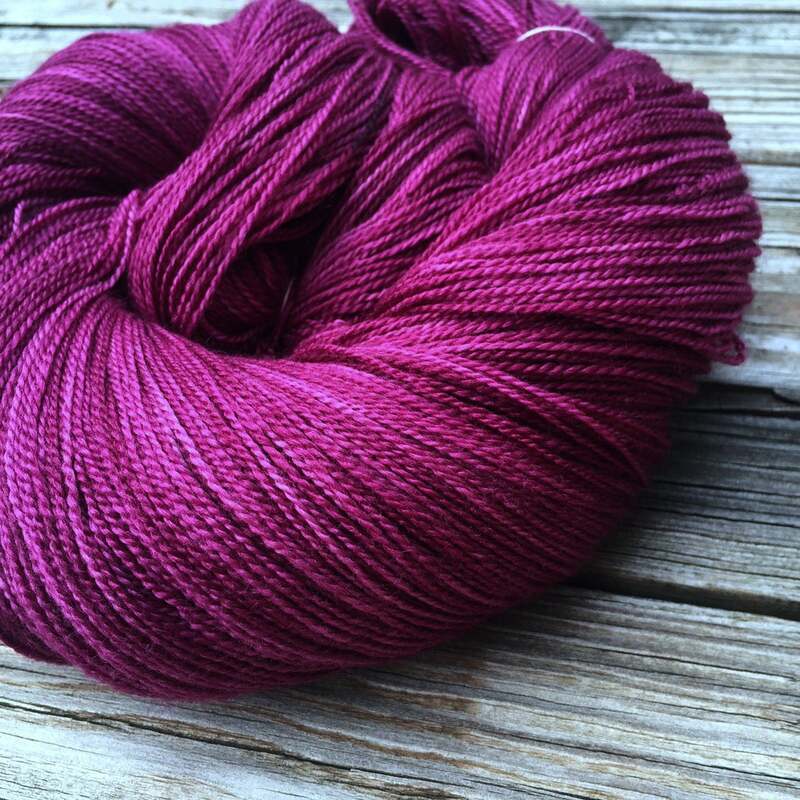 I dyed this yarn with semisolid techniques so that your finished projects will look as beautiful as the skein! 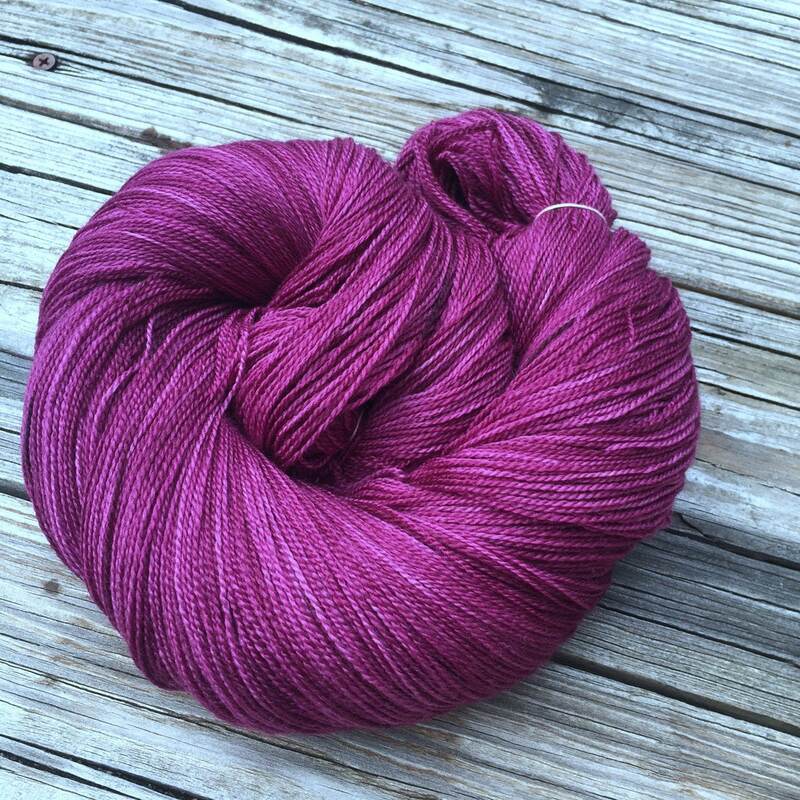 I hate knitting up projects with hand dyed yarn, putting hours into them, and then not being happy. 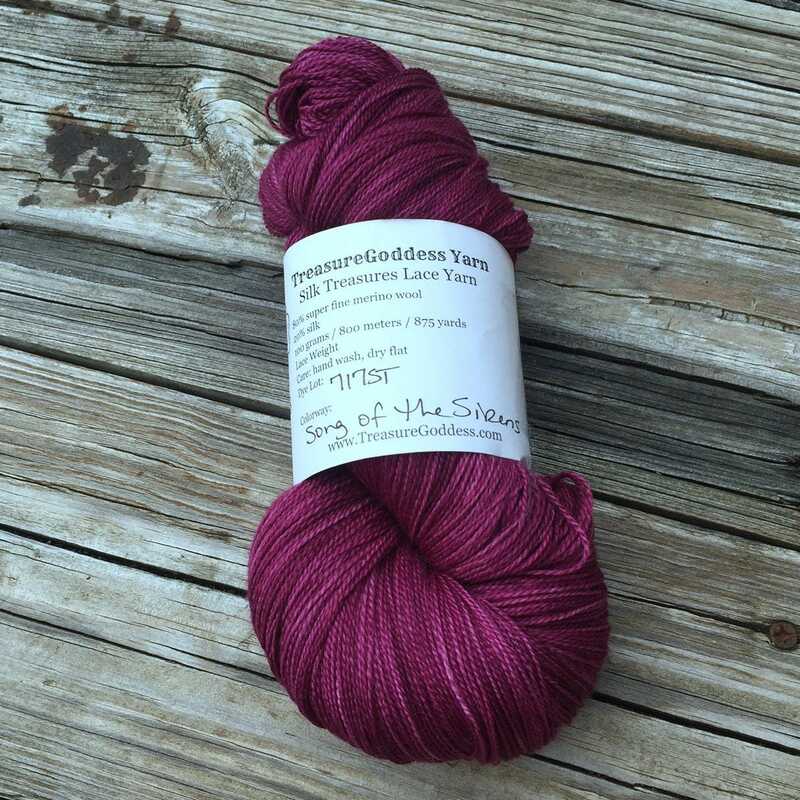 This yarn looks AMAZING in the skein and all knit (or crocheted or woven) up too! 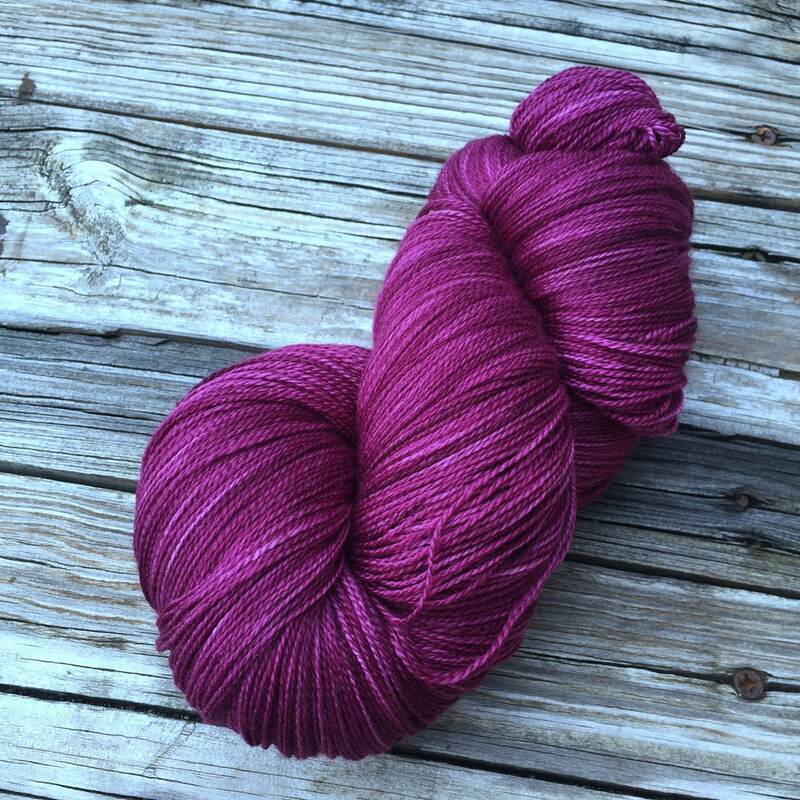 The depth of color allows for this yarn to look amazing in simple stockinette or complicated lace patterns.